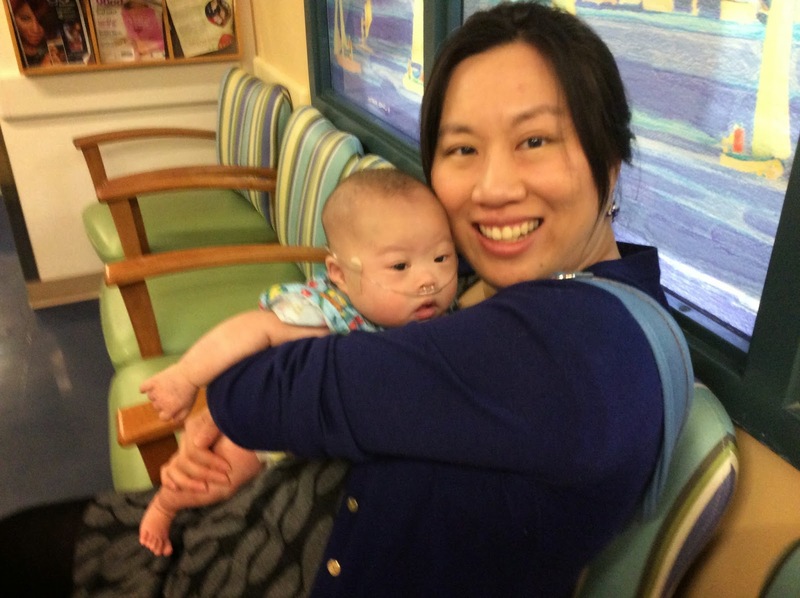 Evie the Extraordinary and Her Mommy: The Journey As We Go: Going public: Down Syndrome Awareness Day and what it means to us. 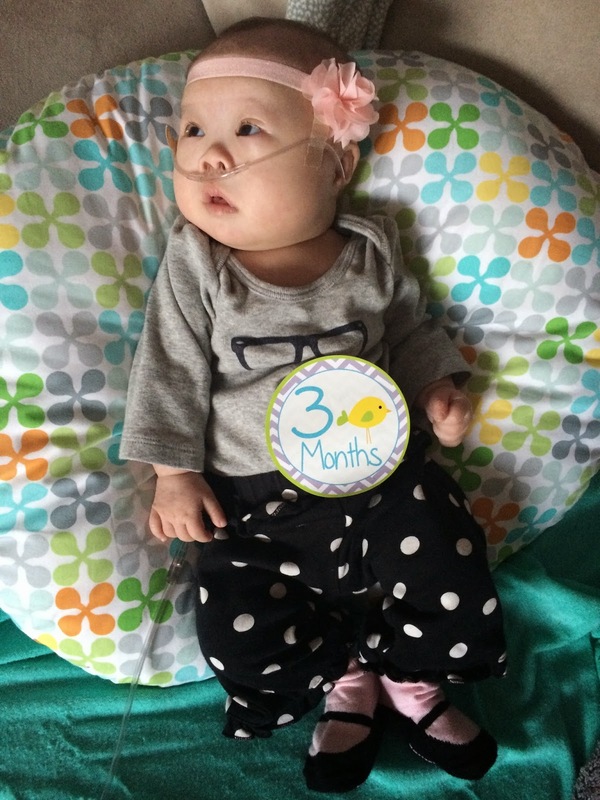 Going public: Down Syndrome Awareness Day and what it means to us. Starting this blog was a big deal for me. It's hard to throw out there in conversation that my baby girl has Down Syndrome, because that extra chromosome makes people view her differently. But because it is Down Syndrome Awareness Day on 3/21, I'm going public. Do you know why it's on the 21st? Because of the 21st chromosome having an extra copy! So far, Evie has just been our beautiful baby girl who is learning to smile and reach for things. But as she grows older, I want our extended circle of friends to know, so that they can treat her as a typical little girl who may be a little delayed in her development, but will want to be included just like other kids. I want the other kids to play with her and to learn that little girls with disabilities like to have fun too. Our story about our diagnosis is here. Now that we've met Evie and know what we're dealing with, it's not SO scary as it was before. Still overwhelming sometimes, but I wouldn't trade her for the world. We are open to talking about it, and are thankful for all the friends and family who have embraced Evie and want to meet her. We are truly grateful for our church family, who came all the way to bring us dinner in the hospital and at home, and ooh and aah over our baby. Evie is more than a diagnosis to us, and I know that she will be much more than that to our friends too. Once she has open heart surgery in June for the hole in her heart, we hope that she will have much more energy and grow much faster. We look forward to the day where she can run freely without an oxygen cannula in her nose, and she can eat all that she needs without a tube through her stomach. Evie just turned 3 months old. It seems like it went by so quickly, and yet was an eternity to get here. You can't tell, but under the 3 months sticker on her shirt is a G-tube patch called a Tummy Tunnel. It's basically a patch that has a hole in the center so you can cut a classy-looking hole for easier G-tube access through a onesie. This was also her first time wearing a headband, and she "allowed" Mommy to dress her up! Thanks for reading and sharing Down Syndrome Awareness Day with us! Please feel free to leave a comment to bolster my confidence in writing this blog. It feels a little funny to just be putting everything out there, knowing that people are reading this and I don't know who they are (but I guess that's what a blog is!). Thanks for reading, friends! Waiting in the waiting room--we're here a lot. Thank you for sharing! Beautifully written! Thanks for sharing, Mommy Amy! Can't believe Miss Evie is already three months old! What a big mighty personality she has already - LOVE her!! Can't wait to have play dates in the future! Love the idea of this blog - you're amazing, Amy!! Xo. Thank you for walking with us on this journey, Grace! Really like keeping up with you three on this blog. I love that you give links to things you've found useful, and share insight into raising E. Miss you and hope to meet Evie soon. Thanks, Irene! We miss you! Come visit soon. I'm so very proud of all three of you! This is a journey that God has begun to walk with you, and we feel privileged to be Evie's grandparents! Let's go by faith and not by sight! Love you dearly! I'm tearing up because Evie is the luckiest girl in the world with you guys as her parents. <3 Do write more so we know how to best love you three! Thanks, Ang! We are thankful for friends like you! love you sharing your journey! good to see you always use your gifts amy! Thanks, Serena! I am enjoying writing this blog! Thanks, Mrs. Joss! We appreciate your prayers so much. Thanks for sharing your struggles, joy and peace with us. It is a blessing to see God's work in your lives and His kindness in giving Evie such wonderful parents. Be encouraged and may the blog help you feel supported by friends far and wide! Thanks, Susan! We definitely do feel supported! Thanks for sharing, and being courageous in putting this part of your story out there. Someone else will no doubt be encouraged by your vulnerability. You may just become a "rainbow in someone else's cloud" (a la maya angelou). At the very least I hope you become more aware of how loved you and your family are. Thanks again. Will read! Thanks, Jocelyn! I am overwhelmed (in a good way) from all the encouragement and love we have received. Thank you for your beautiful testimony. She truly is Evie the Extraordinary--extraordinarily darling and precious. And God gave her extraordinary parents to love her and care for her and guide her on this journey. God bless you all. Thanks, Mrs. Castro! I hope she can meet the Castro clan someday! My "I Run 4" buddy is an 11-year old with Down Syndrome. I know it will be a tough journey, but you are strong and will be a good mommy to her. Thanks, Alyssa! I appreciate it! Thanks, Aleem! Your little one is so cute! Thank you for the encouragement, Nicole! I want to tell you not to short change yourself--every child comes with their own joys and difficulties. I've had my ups and downs too--staying at home is really hard. I hope you can reach out to some friends and tell them when you just need to have some adult conversation, or take a walk just to get a change in scenery. That really helps me when I feel down! Hang in there! You are courageous. You are brave. You are amazing. Evie is one lucky little girl, and we are too - to read about your journey. Thank you for letting us in, and for taking the time to write these posts! Thanks for the encouragement, Esther! Why is Sophie the Giraffe so awesome?! First Trip to the Mall!